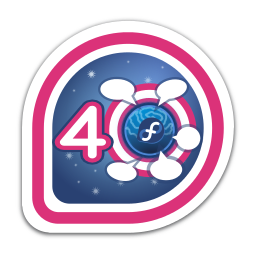 You posted 40 or more things to the Fedora Planet! First earned by rjones on 2013-08-08. Last awarded to gholms on 2019-04-07.
sparks rjones vinz kevin schaiba mythcat fab davej sophiekovalevsky remi oddshocks adamwill gnokii alexove nicubunu comzeradd admiyo pingou sgallagh sentabi fabiand pocock dbmacartney jmlevick ryanlerch admin lkundrak dwalsh goldmann ankursinha pravins dougsland sankarshan duffy jstanley tuxdna spot mhayden cicku jondkent lennart danniel adimania smooge shakthimaan luya vincentvdk rhughes iranzo fantom kushal hadess mjg59 purpleidea aviram kad thunderbirdtr netsys wtogami paulmellors ralph aeperezt mclasen fossjon ardian whot tbielawa tim4dev olea williamjmorenor zeenix hrw rdieter slaanesh orvtech renich axilleas caolanm fche mcepl yn1v rtnpro akozumpl tatica eischmann hvivani willb potty rbhalera lovenemesis kashyapc crobinso xiphmont arifiauo kumarpraveen wolnei johe mahrud kdetony rossdylan yograterol fhornain alexissolanas csmart uraeus rrix pfrields jwboyer berrange themonteiro rajesh siddhesh devos amitshah airlied pbrobinson ppisar kzak atodorov sarupbanskota czanik roshi icon laubersm jzb sayanchowdhury ekoikhyar liquidat toshio bressers bochecha nonamedotc alexl vwbusguy decause asoliard pjones jflory7 corey84 pulpadmin lzap villadalmine rvokal labbott msuchy renault jdieter itamarjp mjw ... and 69 other people.